Participants at Llangollen International Musical Eisteddfod Why Llangollen? Every year, participants in our event describe Llangollen as a ‘once in a lifetime experience.’ Many enjoy it so much, they return again and again! Read what our participants say about performing at Llangollen. 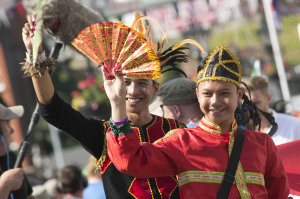 Taking part in the festival’s town parade, when thousands of spectators line the streets, and being part of the Procession of Nations is a “one-of-kind” spectacle that sets Llangollen apart from many other festivals. The competitions are known the world over and the Choir of the World is one of most coveted prizes in the choral calendar. 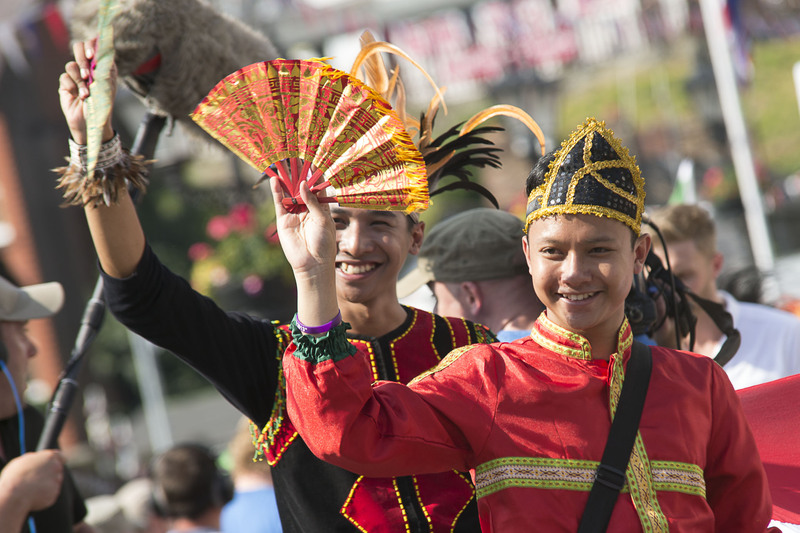 Take part, make friends, and feel special – come to Llangollen!